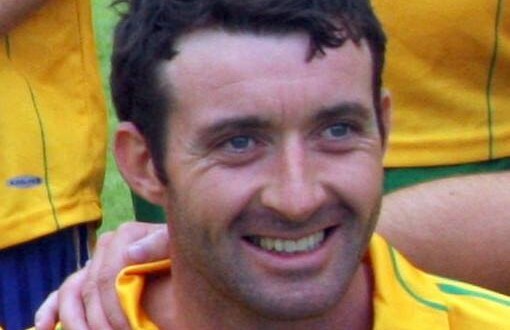 O’Curry’S GAA Club has expressed its shock and sadness at the death of club member Bernie Mahoney, who drowned in Poulnasherry Bay in the early hours of Sunday morning. The father of three from Moveen lost his life while oyster farming with three men, including his brother, at the location near Moyasta in West Clare. His youngest child was due to be baptised on Sunday. “Everyone at O’Curry’s GAA Club is shocked and saddened at the sudden loss of Bernie. Bernie was one of the most dedicated players the club has had over the years and gave fantastic service at both junior and senior level,” club PRO Eoin Troy told The Clare Champion. “He was strong and extremely fit, which allowed him to play well into his 30s. In a small club, with small numbers, it is very important to have committed people and Bernie was not only committed but was extremely dependable. He balanced football with a hectic work schedule but could always be relied upon to be one of the first men in the dressing room. We extend our deepest sympathy to his family and we offer our support in every way possible,” the club statement added. Bernie Mahoney captained O’Curry’s to a junior league final over Kilkee a number of years ago. The emergency services were contacted at approximately 3.25am on Sunday morning when a local man heard the calls for help. Coastguard units from Kilkee, Doolin and Ballybunion, along with the Kilrush RNLI lifeboat and the Shannon Rescue Helicopter were all involved in the search. The late Mr Mahoney will repose at Lillis’ Funeral Home, Kilkee on Tuesday from 5pm until 7pm, while the funeral mass will be held in Carrigaholt Church on Wednesday at 12 noon.